A rendering of Base Village as now being proposed by Related, which submitted a new application earlier this month. Construction is now expected to start in 2016. Editor’s note: Today and tomorrow The Aspen Times, in continuing a tradition that started 11 years ago, takes a look back at the biggest local newsmakers of 2014. Today, we publish our selections of spots six through 10 as well as honorable mentions (see page A6). Just five days into the new year, on a windy Sunday afternoon, the community was stirred by breaking news of a fatal private-jet crash at the Aspen-Pitkin County Airport. Three Mexican pilots were aboard the Bombardier Challenger 600 plane as it attempted to land at 12:23 p.m. Jan. 5. Emilio Brabata, 54, identified as the co-pilot, was killed when the plane hit the east-west runway, caught fire, rolled and then came to a rest upside down. He was pronounced dead at the scene, according to the Pitkin County Sheriff’s Office. His brother, Arturo Brabata, 52, was injured and transported to St. Mary’s Hospital and Regional Medical Center in Grand Junction. His injuries were not caused by the fire that ignited during the crash, the Sheriff’s Office said at the time. A third pilot who was aboard the plane, identified by Landings.com as Miguel Henriquez, also survived the crash. He also was taken to St. Mary’s Hospital for non-fire-related injuries, authorities said. Both injured men were treated and later released. The flight originated in Mexico and stopped for a customs check in Tucson, Arizona, a few hours before attempting to land in Aspen amid strong winds. Authorities did not say who was flying the plane when it crashed. The airport was closed immediately after the accident and all of Jan. 6, allowing National Transportation Safety Board investigators from Denver to examine the crash scene as well as the aircraft. The wreckage was then cleared from the runway and airport resumed business on the morning of Jan. 7. At an airport news conference Jan. 6, officials declined to speculate on what caused the crash and were quick to note that NTSB investigations typically take 12 to 18 months to complete. But later in January, the safety board issued a preliminary report that confirmed the presence of gusty winds at the time of the accident. The report said there were winds of 19 knots with gusts of as much as 25 knots when the jet was attempting to land. The plane was making its second landing attempt when it briefly touched down on the runway before bouncing up and then crashing, the report said. The Aspen-Pitkin County Airport is known for its dangerous approach because of the steep descent required to land. In 2001, 18 people were killed when a Gulfstream III jet from Southern California attempted to land at dusk in Aspen during a brief but intense snowstorm. In early 2014, the Aspen community learned of four suicides in just a two-week period — a significant number considering Pitkin County typically averages about four suicides per year. In a small town such as Aspen, word spread fast. Michelle Muething, executive director of the Aspen Hope Center, which offers mental-health crisis intervention and prevention services, said a community-wide conversation ensued, and before she knew it, the Hope Center was hosting a mental-health forum at the Wheeler Opera House for a crowd of nearly 400 people. Speakers included victims’ family members and mental-health professionals. Kim Baillargeon, of Aspen, spoke about the loss of her 23-year-old son Raymond Vieira on Feb. 26, and about his alcoholism as a contributing factor to his suicide. She said she had heard of as many as 20 Aspen High School alumni either committing suicide or dying from drug overdoses in the previous year and a half. Mental-health professionals in Aspen and throughout the mountain resort region provided theories as to why suicide rates are so high here — in Pitkin County alone, the suicide rate in 2011 was 35.1 per every 100,000 people, about three times the national suicide rate. Drugs and alcohol abuse due to the party atmosphere in a resort town is one theory. Another is that so many folks move here from other states, leaving their support systems of family and close friends behind. And in Aspen, the great disparity of wealth could also contribute to depression and substance abuse. The conversation surrounding mental health and suicide — and how the Roaring Fork Valley can provide better care — has continued. The Hope Center came up with a slogan, “We can talk,” to remind the community that the center as well as other resources are available for those in need or those who know someone in need of mental-health services. The Hope Center kicked off the campaign in November at the Wheeler with more than 300 people in attendance. A private wedding produced a public outcry when an extravagant ceremony was held on the backside of Aspen Mountain in June. Alexandra Steel and James Scott were wed on private property in Little Anne Basin owned by John Miller’s Castle Creek Investors Inc. The stunning setting with spectacular views of the surrounding mountains became an industrial zone before the June 14 wedding and a posh mountain getaway for the big event. The organizers erected a temporary chapel, a 27,000-square-foot tent for the reception, scaffolding, flooring, a dance floor and multiple service tents. The event struck a nerve because it was held in an area zoned rural and remote by Pitkin County. That zone district was created in the 1990s to limit development in pristine backcountry areas, usually on inholdings of private land surrounded by or adjacent to national forest. Small cabins are allowed. Monster homes are prohibited. Miller met with the Pitkin County government planners in April to discuss obtaining a temporary commercial-use permit for the event. The staff said it couldn’t support an event of that magnitude so Miller would have to ask the county commissioners for a permit. Miller returned to the planning office in May and said he decided to host the event free of charge once he realized he knew the bride. Steel is the daughter of Robert K. Steel, chairman of the Aspen Institute’s board of directors. 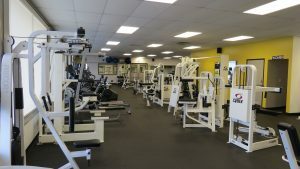 Since no commercial activity was taking place, Miller didn’t need a temporary commercial-use permit. The Planning Department said the incident exposed a loophole in the rural and remote rules. The event was pulled off with no major issues. The wedding party reportedly partied the night away. The site was reseeded and the results will be known in the spring. The Pitkin County Commissioners passed new rules that give them more control over special events and temporary-use permits. The writing of Aspen’s lodge-incentive package produced a classic political battle over development. Hospitality workers and industry experts came out in support of the 91-page Ordinance 19, which would have allowed four-story lodge requests near Aspen Mountain, larger free-market residences, fee waivers and decreased affordable-housing requirements, among other incentives for developers. On Aug. 11, the Aspen City Council passed the program in a 3-2 vote, with Councilmen Art Daily, Adam Frisch and Dwayne Romero voting in favor and Mayor Steve Skadron and Councilwoman Ann Mullins dissenting. Shortly after, Aspen attorneys Cavanaugh O’Leary and Bert Myrin rounded up the opposition, contending that the program looked a lot like infill, a controversial package of zoning amendments passed in 2005 that resulted in buildings such as the Aspen Art Museum. The duo launched a petition drive to bring the issue to voters, garnering about 500 of the 641 required signatures in a 48-hour period. Returning the issue to City Hall, the council unanimously agreed that officials should start from scratch with the controversial package and attempt to make it more attractive to the community. In a contentious exchange with O’Leary and Myrin during an earlier meeting, Frisch said that had the package gone to a referral vote, the ensuing months would be a “touchdown dance around City Hall” for the opposition. “You smell blood, and you’ve won,” Frisch said, claiming that the petition was more about proving a political point than it was about solving a problem. After the package was rescinded, Myrin expressed “zero” confidence that the city will rework the package into something attractive to the community. Skadron said he agreed with Frisch about defining the problems and coming up with a new ordinance, adding that his desire was to focus on Aspen’s “property-rich, paycheck-poor” small-lodge owners. Planners then held a series of open houses on the issue and returned to the council with a scaled-back version of Ordinance 19. The focus is now on small lodges and potential for cash incentives. Planners have begun crafting exact language for the ordinance, which will return for review in the new year. In 2014, Snowmass Base Village celebrated the 10th anniversary of its first approval with another milestone, a four-year extension of vested rights on the project — because most of the construction that was required to have been completed by now is not. The stalled development at the foot of Snowmass Ski Area hasn’t seen any new construction for the past five years. 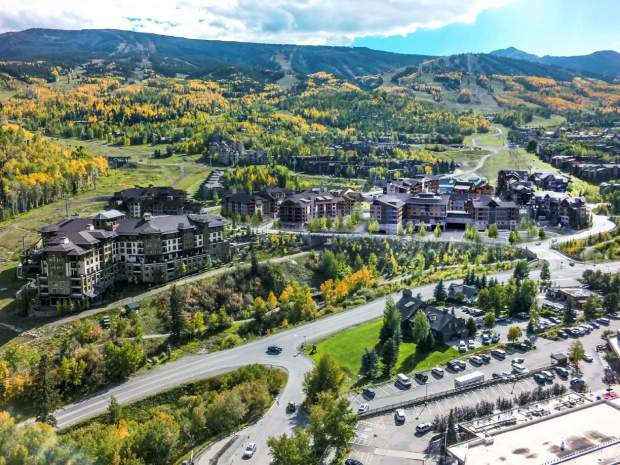 Earlier in 2014, there was hope of construction starting this summer on the Limelight Snowmass, a hotel similar to Aspen Skiing Co.’s lodge in Aspen, and the second phase of the Viceroy hotel/condominium complex. However, in March, Skico pulled its application for the Limelight, citing uncertainty in the overall project. And despite having the necessary approvals, Related decided not to pull a building permit for the Viceroy, yet. Later in the summer, Related submitted a new application to extend the vested rights, and Skico announced that it was back in if the request was granted. Sunrise Co. and Oaktree Capital, which own the Dancing Bear in Aspen, also announced they would develop a residence club in Base Village if the vesting extension passed. 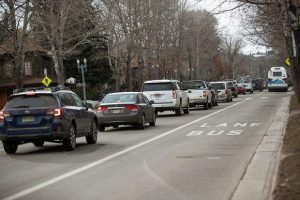 The Snowmass Village Town Council, which was divided in a 3-2 split on other important issues this year, was similarly split over the vesting application early on. Just before the final vote, Councilman Chris Jacobson alleged that conversations Councilwoman Markey Butler and Councilman Fred Kucker had with Don Schuster, Skico vice president of hospitality development, qualified as ex parte communication and would taint the validity of any vote the council took. The elected officials still voted, 3-2, in favor of the application, and one month later Snowmass Village resident Richard Goodwin sued the town and council. While the suit, if successful, could threaten the project, the council is continuing its review of Related’s most recent Base Village application, which would amend the approved plans for the overall project. In one of its first actions, the new Town Council that was elected in November denied a request from Related to skip the first step in the review process for that application. In doing so, the council made it almost impossible to finish the review by May 31, a deadline agreed upon by the former council that would have guaranteed the groundbreaking on a roundabout in Base Village and the second Viceroy building in summer 2015. Now, Dwayne Romero, president of Related Colorado, doesn’t expect construction to start until 2016. So while we started 2014 thinking that it would be a landmark year for Base Village progress, we end it with the knowledge that the delay will continue for at least two more New Year’s Days.